This page contains a list of intermediate guitar lessons. If you’re just starting out, I’d recommend heading over to the beginner guitar lessons first and reading through those. If you already have, jump right into lesson number 1 and work your way through the various lessons in this section. If you want to learn about a particular topic, feel free to jump to a specific lesson instead of following the predefined order. Additionally, if you need a list of song suggestions either for practicing or learning purposes, head over to the guitar song collections page which contains our complete list of song roundup posts. Guitar fingerstyle picking is used in a TON of songs of a variety of musical genres. Learn more about how to use fingerpicking to expand your guitar skills. The CAGED system makes use of 5 basic open chords to help you better visualize your guitar’s fretboard. But is it worth learning? Read more. Learn more about the benefits of experimenting with alternate guitar tunings and check out the definitive list of tunings in this post. 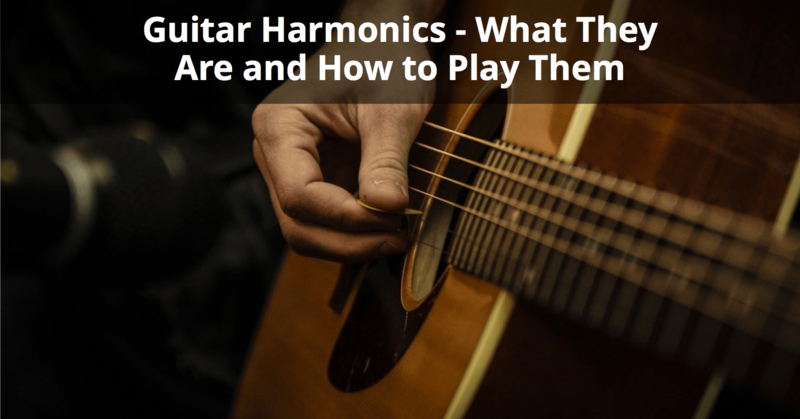 Guitarists use natural and artificial guitar harmonics to give extra flavor to their playing. Learn exactly what each is and how to play them both. Check out these 12 beautiful blues chords to expand your guitar playing ability. Full chord chart and example blues progressions included. Coming up with great sounding guitar chord progressions can be achieved with a combination of theory and inspiration. Read more about demystifying them. 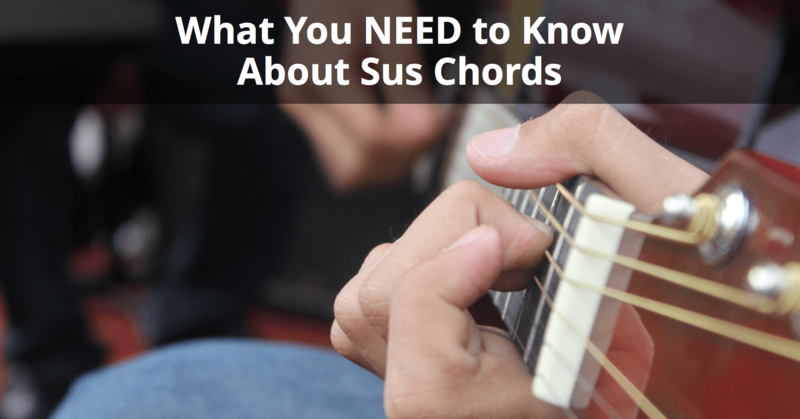 This post goes over everything you need to know about sus chords including what they are and how to play them. Chord chart included! Easily learn the notes of the guitar fretboard in 13 DAYS to help boost your guitar playing skills. Guitar scales are essential for any guitarist that wants to advance their playing ability. This guide has everything you need to learn scales.